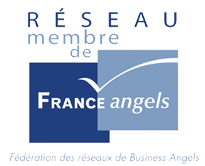 Angels Santé investors provide their funds and expertise to start-ups with strong potential to support their launch and development. by our members individually or through our investment vehicle in non-listed innovative companies. health experts who provide their funds, expertise and networks to support starts-up. To detect European start-ups that meet the challenges of our health systems with economically responsible solutions and strong medical benefits. To boost seed-stage development by providing direct capital, expertise and networks. To mobilize non-specialized investors towards health investment to meet the needs of ambitious projects. Five reasons to join us now. Learn more about Angels Santé and how to become a member.